Q: Are the chickens 100% pasture raised? Are they certified humane? Does organic refer to the corn and wheat the chickens are fed? 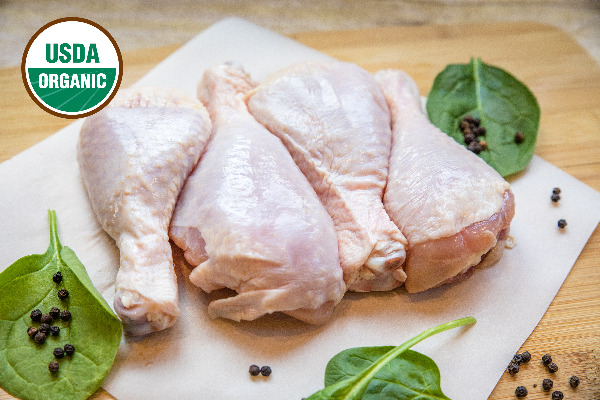 A: Our chickens are raised on certified organic pasture. We supplement their diet with certified organic grain. In order to hold our organic certificate, we must operate as certified humane. Our farm and practices are inspected annually by both the USDA and OEFFA to ensure that our practices meet organic and humane standards. If you have any further questions, feel free to reach out to us at info@hoffmanorganics.com.